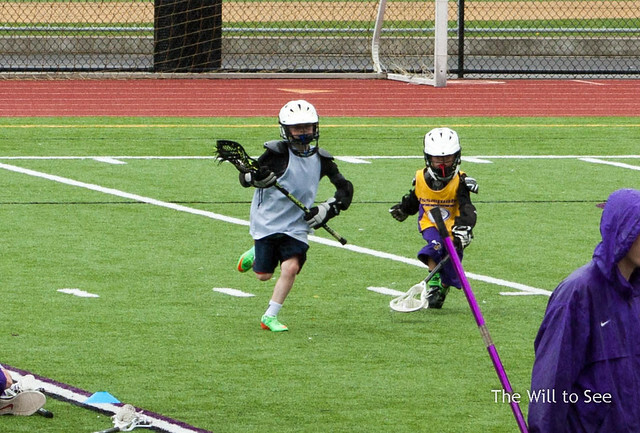 Jack has been playing lacrosse this year for the first time and loves it. I am not surprised, boys running around with sticks, hitting each other, why wouldn’t he like it. 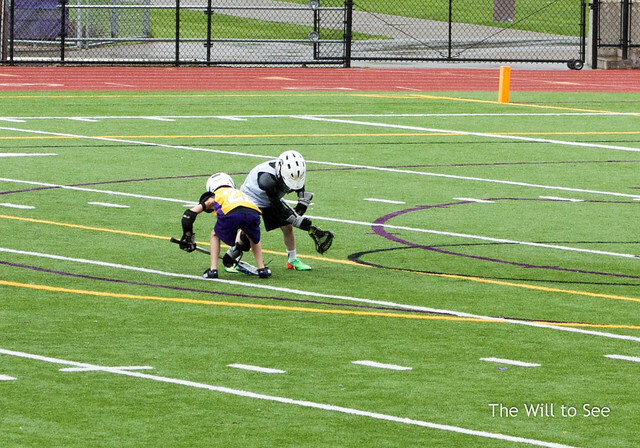 Last weekend was his first real scrimmage/game. 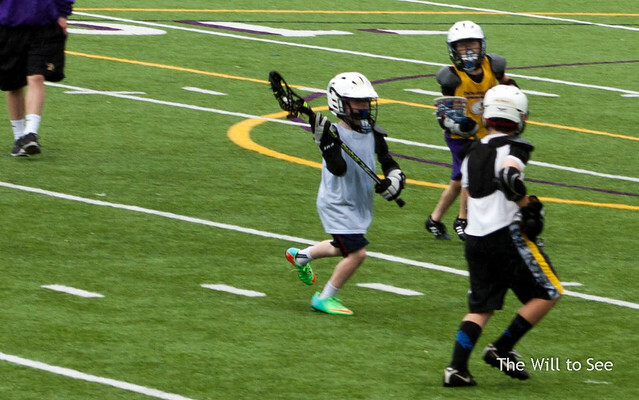 He scored two goals and had a great time. It was great for the boys to play a game. We also got work on learning the terms and rules. Doesn’t Jack look tough? He said the pads made him feel tough. Here is video of his two goals, taken by our friend Kerek. Jack’s goals and faceoff win are at the beginning of the video. You can spot Jack by his bright blue/green shoes.